Therapy services in Coventry and Rugby are hitting waiting time targets despite long waits across the rest of England, according to NHS data. In May, 665 of the 670 people who had their first treatment appointment in the Coventry and Rugby clinical commissioning group (CCG) waited less than six weeks since they were referred – a rate of 99.3%. Around 655 people waited less than a month – 98% of the total. There were no waits of more than 18 weeks. Mental health charity Mind has said that long waiting times for therapy can have “devastating” consequences on patients, and has praised services that deliver a person-focused approach. “It’s really positive to see that in some areas, people are getting timely access to treatment. NHS England’s Improved Access to Psychological Therapies (IAPT) programme aims to improve the delivery of therapy services across a range of conditions, including depression, anxiety, obsessive-compulsive disorder and PTSD. NHS targets state that 75% of IAPT service users should have their first treatment appointment within six weeks of referral, and 95% within 18 weeks. Many CCGs in England are hitting these targets, but in some areas the majority of people face wait times of more than three months for their second treatment appointment. In the Coventry and Rugby CCG, there were 445 people having their second appointment during May 2018. Of these, 175 waited more than a month between appointments – a rate of 39%. An estimated 15 people waited more than three months – 3% of the total. In other parts of the country the proportion of patients waiting more than three months between appointments rises to almost 90%. An NHS England spokesperson said that the agreed waiting time targets for referral to first treatment have been met. Nationally, 90% of people waited less than 6 weeks to start treatment, and 99% of people waited less than 18 weeks. Mind has said that the targets set by the NHS are not ambitious enough, and has called for people to be seen within 28 days, instead of six weeks. 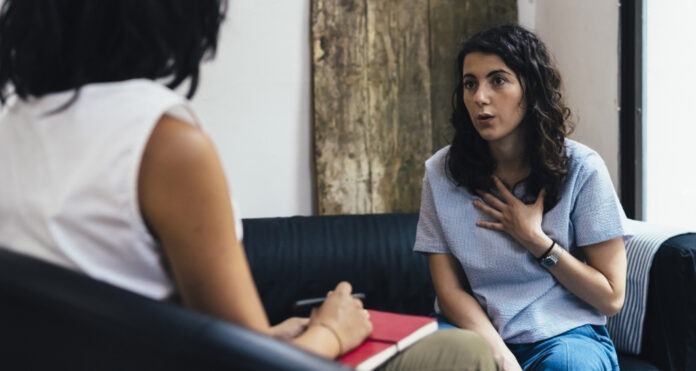 The British Association for Counselling and Psychotherapy (BACP) expressed concerns that the IAPT workforce has not been sufficiently expanded to deal with the demand for the service. “It is vital that talking therapies are available as and when they are required. Previous articlePolice launch new appeal to trace BMW following fatal collision on Avon Street. Next articleOh My God! Friends is returning to terrestrial TV next week as Channel 5 are set to broadcast all of your favourites.